On November 21st I took a step closer to my goal of speaking at TEDx, I attended the live event in my hometown. It was an exciting, adrenaline pumping morning – with a buzzing, bustling throng of people waiting to get into the event. After seven hours of speakers, I walked away with a full head & heart and the understanding of how I could leverage TEDx in my live streaming. You see, every time I live stream I inch closer to my goals of being on that stage. I admit, the idea of getting up in front of 600 people scares the daylights out of me, but I remember a time when turning my phone on myself and livestreaming to the world had the same effect. How did I get over that gut wrenching feeling? I kept turning that camera on. What happened was that I learnt that when I spoke from the heart, as compared to a script, I had better outcomes. 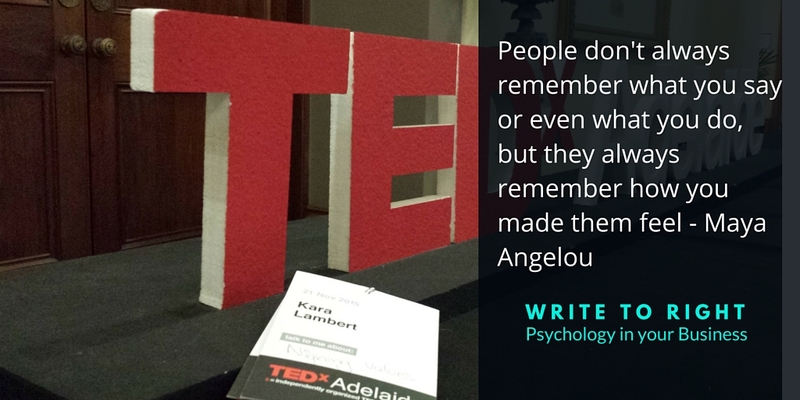 This was the same for the TEDx talks, when the speakers spoke from their hearts and told a story, the audience responded. The best stories were ones that were wound through the 20 minutes, engaging and leading us to explore, discover, & learn. The story was cleverly punctuated with anecdotes, small tid-bits of information, and punchy take-aways for the listeners. These little sidelines were hand distractions, pauses, & thought provokers. The thing that the best ones did was to elicit emotions in the audience. We could empathise with the speaker, we could dig into our past and join their journey, we could see where they were headed. The best emotion came from the raw honesty of the speaker, pointed examples that hit home & chilled the audience. We felt how they felt. The speaker moved us. But that’s just the thing… While all of the talks were incredibly valuable & worthy in their own right, the ones that made the story about the audience as much as it was about the story they wanted to tell were the winners. You see, unless you take an audience with you, they aren’t buying the story. You need to speak to their needs, values, & pain points to grab their emotions & win over their minds. When you can engage the audience where they live, you show that you understand, you care, & that you are really no different from them. This is a powerful & trusted position. In fact, it’s one reserved for our closest friends & family. Eliciting that understanding and intimacy, builds a connection that usually takes years to form. If you can grab that space where the audience lives, then you’re over half-way there. When people tune in to TEDx talks, they want to learn & be inspired. Give them something that sticks in their mind – that they can carry with them. Make it useful for them, make sure it will make a difference in their life. Don’t assume that because it is important to you that it will automatically be important to them. Above all, don’t make them try to walk away with your entire 20 minute talk as a take-away, they can’t do it. In fact, best leave it to a maximum of three key points & chances are that they will remember the one thing which spoke the loudest to them at that point in their life. To help the listeners to remember your key points, talk slowly & use silence to punctuate and reinforce your take aways. There’s power in silence. It gives the listener a time to ingest your message & align it with their beliefs and values. Give them that honour of allowing them to assimilate what you want them to take home, with what they already believe – they will remember it & you better for doing it. These points you want the audience to remember are best when tied to emotions & not facts. To be honest, when you are listening to your fifth 20 minute talk, the last thing you are likely to remember is what was said, but you won’t forget how that person made you feel. Facts are great in small, interspersed factoids, but they shouldn’t be the back bone of an engaging piece; unless you can tie it to an emotion. If your fact will elicit an emotion in the majority of people, then by all means say it, but I wouldn’t hang my hat on it being remembered long after your 20 minutes are over. If your talk is structured with a good story, elicits strong emotions & has some key takeaways; you won’t need slides. In fact, there was one speech where I wished there were slides, but only so that they were a distraction from the 20 minutes of facts and figures we were exposed to. Clear, key, punchy images, ones that made us laugh, helped to move the time along. The main thing I walked away with was that I can do it. I have a story worth telling. When I allow others in to my story, I move them & inspire them. I do that everyday on live streams to the world, TEDx is easy! 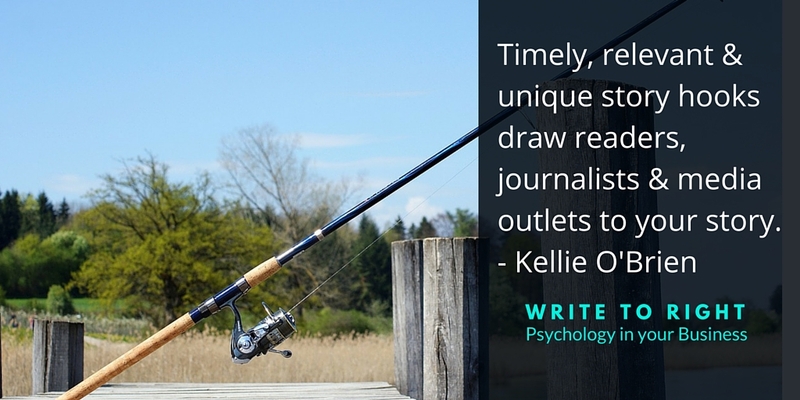 Kellie O’Brien spent 16 years in print journalism in Tasmania, writing everything from hard news stories through to international celebrity features. During her career she’s led newspaper campaigns, been a magazine editor, chief of staff, chief copy sub editor and photographer. She also had a regular guest spot on commercial radio and hosted and spoke at numerous live events. Since its inception, her personal blog has grown at a rapid rate. This is thanks to numerous marketing initiatives, strong branding and a keen interest in social media. From this, Kellie helps people realise their dreams through the power of communicating their story to the world and systemisation. Journalists and media outlets are looking for a way to show relevance & grab the reader, so unless you are heading for 100 years in business – don’t pitch your birthday. These story hooks do not help the journalist to capture the reader. You need to make them timely, relevant, and give them a different twist to what they would normally see. Let’s face it, they are just as interested in promoting themselves as you are. A different twist to your story or story hook will give the outlet a different angle & perhaps a way to capture a wider audience in relation to your story. Don’t pitch the Editor, pitch the relevant journalist. Editors are responsible for the oversight of the paper, or their section of the paper; & with the exception of smaller outlets they will not be looking for stories. Searching through the relevant paper will help you to find the responsible journalist. Look for the names attached to your niche. When you get the media attention, make sure that you have a way to capture that traffic when it hits your website. Otherwise you are missing an opportunity to gather leads & more broadly market your business. Ensure that you products are easily found on your website & that there is a clear call to action on your homepage. Should media pitches differ between print, radio, & tv? Some coaches will recommend blanket pitching across media outlets, while this saves you time it can cost you opportunities. This scatter-gun approach means that no one agency is getting their exclusive, which they all crave. This is not to say that you shouldn’t pitch to multiple outlets, just that you need to differentiate your hook. Craft your hook to suit their audience. You will need to ensure you have three wins: a win for the journalist (a great exclusive), a win for the reader (interesting content), & a win for your business. Is there still a place for print media? Many print outlets will have some form of social media presence, they will also leverage these platforms to capture their audience. Your story might just be one of those stories that they promote online, giving you exposure in the print publication & on their social media profile. Businesses also need to consider the habits of their ideal client. Do they read the paper (and which one), be it in print or online? This ideal client avatar is useful across the business profile, not just for social media marketing. Additionally, having an article in media gives you the opportunity to add their logo to your website, growing your media cluster badge. This collection is valuable social proof when other media outlets are searching your site, but also when customers are stopping by. These badges show that you have a reputable brand or offer. This really depends on the story, it can play a part if you are looking for credibility in your field. That said, if you have thousands of followers but no interaction on your profiles the size of your following will not help. Outlets like to know that you are current and active in your field. Additionally if you Google your business name and appear on the first page of the result for your areas of interest then media outlets are more likely to find you when they are looking for article topics. Having a media page/pack helps the outlet research your business. If you are looking to be interviewed, have a list of your top 10 questions (this will save the journalist time in having to think them up). If you are running an event, include a fact sheet. Most importantly, make sure you have a 200-300 dpi jpeg image of yourself for the outlet to use in the promotion. What are your tips for HARO and Sourcebottle? The biggest tip is to respond quickly. While some outlets will put a lengthy timeframe for responses, it is often the first few which will gain the most interest. That said, look out for repeated questions, this means that the outlet hasn’t received quite what they are after & providing a great response will mean a grateful journalist. When responding, ensure that you provide relevant information. While you might want to spruik a new product, unless it’s relevant to the topic you will only come across as needy and spammy. When providing contact details, ensure they are ones that you are able to respond to quickly – no point providing a work number if you are there part-time. If a journalist is unable to contact you, you will miss your opportunity & risk looking unreliable. What is the power of sound bites? Sound bites, or quotable quotes, are short, 10-30 sec sound (or text) bites that summarise a point. The key to these quotables is to include emotion. You can inject emotion into the quotes through smilies, metaphors, analogies, pop culture, or just good fun. Is there a better (or worse) time of year for pitching to the media? This really depends on your business and the media outlet. Coming into Christmas, relevant products with a novel twist can gain good exposure in the media. Coming in to the New Year, health and business planning services will stand to gain for the quieter holiday period. You have to ensure that you provide a novel twist on the season, something that which will have your service (and the story) standing out from the crowd. Kellie has a content calendar which includes the holidays and relevant observance days. This is a helpful resources for planning your social media activities & gives you the necessary hooks for pitching to media outlets. So how did I do it all? Before Gay Hendricks introduced me to the theory of Einstein time in the Big Leap, I knew that when I was calm and in the zone – time seemed to stand still. When I feel pressed for time, things go wrong and time goes all too quick. When I feel that I have a lot of time and that I am in control of my time, this is exactly what happens. While it is true that we do ‘waste’ time, sometimes, more often than not we are actually holding the belief that we don’t have enough time & it is better spent elsewhere. If however, we turn it around to a belief that time is a resource and one we can control, our beliefs around – then we find that we have an abundance of what we seem to crave. Gary Vaynerchuk advocates working between 7pm & 2 am. When I was starting up, I had to keep these hours. ; to some degree I still do, I work until about midnight-1 am most days. I am grateful to have an understanding husband, but I make a conscious choice not to work weekends & to prioritise time together when schedules allow. The other thing I changed for a while was showering at night. Granted, I did not do this at 2 am, but when I was heading to bed at a decent hour, I would shower of a night time thus giving me time in the morning. I have to add that when it comes to school holidays I really burn the midnight oil. It means that I can make the most of the kiddies being at home, be a fun Mum, & still meet client & business demands. I still bookmark events early in my calendar and schedule my time around these milestones. Rather than being tripped up by a deadline, it allows me to be flexible with my time. In fact, I always built flexibility into my timeline to give space for illness or the need for some downtime. I have been using Google calendar for a while. It has been the easiest way to integrate hubby & my calendar across devices and to ensure he knows where the kids need to be (& when). When I started business coaching I started to use Calendly, while I no longer use the free version, it has allowed me to open up my Google calendar to clients for bookings. 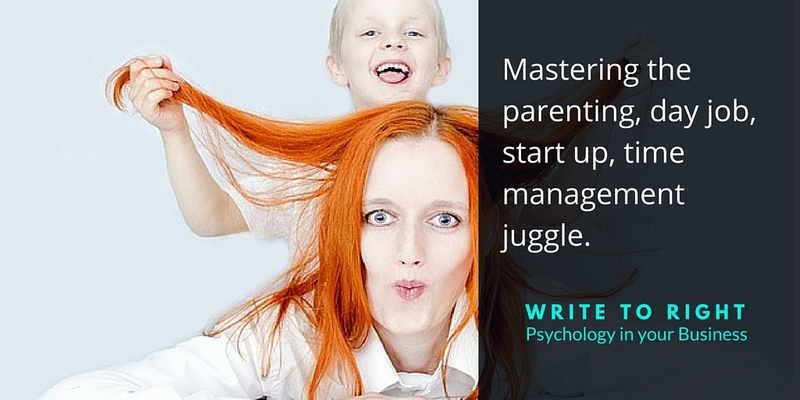 This has removed the tedious email juggle on organising a mutually suitable time. When I started out there wasn’t post scheduling & I was only on Facebook. When scheduling was introduced, I embraced the native platform to help manage my time. I have now signed up to Buffer to help with my Twitter presence & I schedule my videos in Blab. This means that I can post to my social media platforms 24/7 (if I wanted), but more importantly that I can post when my customers are on but I am preoccupied elsewhere. I also use scheduling as a business tool for my social media management clients. Their clients are all on Facebook at the same time, thankfully scheduling means that I can post at the same time, but not have to be online. I used scheduling to the ultimate when I spent a month overseas in 2014. Speaking of that holiday, it wouldn’t have been possible without a content calendar. I used one from Kellie O’Brien, I chose it because she shares a lot of the celebratory days/holidays and I find having these in one location great when you are stuck for content ideas. I have also started to run a weekly theme across my social media platforms. Now this does not mean that I autopost the same content at the same time across all of my presence. Instead, I choose a topic and schedule/work through posts on that topic across the platforms. I learnt this from The Social Leader & it means that I am not scrambling for ideas. This frees up my time to work on other projects, or just have some time out. Knowing & having an up to date ideal client avatar means that my content is relevant to their needs, consistent & it gives me a ready list of content ideas. If I am ever stuck, I can turn to this description and choose a pain point, a need, a value, a benefit & address it that week. Once again, it saves me time in trying to find a topic. It also helps to know where they hang out, have a look at the following blog post as I let Australian business owners (and ones who want to sell in Australia) in on a secret. Flowing on from knowing my ideal client is knowing my benefits. Knowing my benefits makes it easier to respond to customer queries, formulate reviews, & generating other useful content to help my clients. So earlier I mentioned Calendly & Google Calendar. I do have a few other time management tools up my sleeve. I admit that I am still cutting my teeth on this one, but my big love for this is that it removes the distraction of my friends’ Facebook activities from my view. I can only see what is happening on the pages I manage. There is no chat, she liked, he commented, they shared in my field of view. It means I can jump on to Facebook, do my thing & jump off. I used to use the platform a lot, I now use it for posting my Instagram images to a Facebook album and to Twitter. I do have it auto-sharing from Facebook to Twitter for one of my businesses. It is a powerful tool built on If/Then statements & integrates with dozens of applications for hundreds of combinations & thousands of benefits. 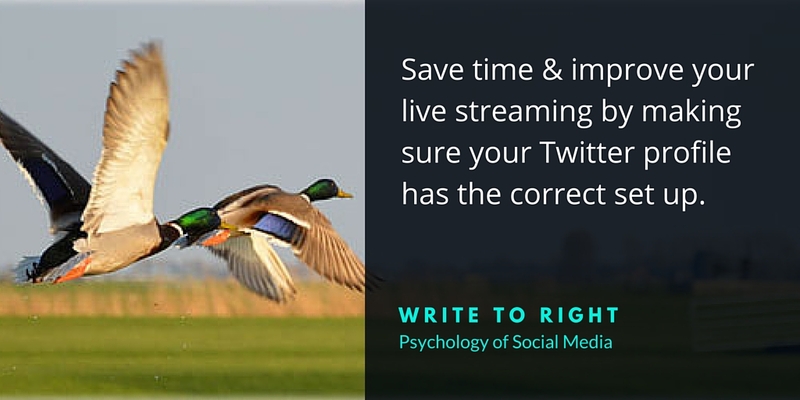 I use Buffer to schedule the majority of my Write to Right Twitter feed, my Facebook page & my Facebook group. Not only is it great because I can do this from one spot, but also I can reschedule old content. This means that I can leverage older & high performing content, or put the spotlight on older & perhaps less seen items. I use Feedly to find relevant articles for my Buffer streams. With the content curated in one spot, I don’t have to troll the internet for relevant content, remember where I saw it & retrieve it at a later date. Fabulous! When it comes to the Twitter basics for live stream, if you do nothing else, just do the first two steps and you will be set up & ahead of the crowd. These two steps are key as the information you provide, on Twitter, in these steps are pulled through to the Periscope & Blab platforms, this saves you time. Who doesn’t want to save time! Not sure if it’s worth your while spending much time on Twitter? Check out these stats. I can not stress enough the importance of having a face to a name. When you are livestreaming you are putting your face out there, don’t hide it in your marketing – or make people guess when you want to go live. The best thing is that candid shots work just as well as polished professional headshots. You are building a relationship live, so make sure the photo is bright and inviting. People enjoy the authenticity of live streaming, so showing them what you look like before you engage with you starts that relationship. Additionally, one photo across platforms means that you have consistency in branding. This one can be a little daunting, but consider it a preparatory physical challenge before you jump headlong into Twitter. Your description/biography can only contain 160 characters. Now this includes letters, spaces, emojis & links. Before you say, why should I have all of those, let me explain why you should have them all. Emojis will allow your biography to stand out on the Periscope user list. While you can edit your biography independently on Periscope, uniqueness and demonstrating your personality on Twitter gives you a point of difference and sets you apart from the noisy Twitter crowd. While you can list your website in Twitter, having a distinct link on your site for your Twitter followers will give you the numbers on how many people have followed you from that platform. You can even give them a thank you gift for coming across. Your Twitter cover/header image is a valuable piece of real estate. It is you main & constant opportunity to advertise yourself, your brand, and your offer. I use Canva to design most of my advertising material as it has them preformatted to the correct dimensions. I can upload my own images & logo to use on them, or I can use the set dimensions and design it from scratch. When you livestream, it is good practice to keep the titles to 80 characters. The reason is that when your streams are shared or tweeted the platform will add a link or other content. You want to be the one controlling the title & not relying on the person sharing to accurately edit your title. Additionally, on Blab you should ensure that the first 40 characters of the title are carry the information. As you accept people on to the screen & your Blab is tweeted out, the platform will shorten the title from the end for the sake of including the twitter handle of all participants. When you are livestreaming, especially running a scheduled Blab, I suggest making a specific graphic to share on Twitter. In this graphic include the time, title, participants if it’s an interview, and a shortened link to the livestream. Using a graphic like this means you then have the 140 characters of the tweet to add additional information, including relevant hashtags. It’s also more appealing to Twitter followers than straight text, statistics show that images are also retweeted more often. Using an image with the relevant details prevents retweeters from editing the core information. I suggest retweeting the image in the lead up to the livestream, to capture audiences who may not have seen the original tweet. Another way to increase exposure is to pin your tweet to the top of your profile. Done the same way as on Facebook, this means that your livestream is the first tweet visitors will read when looking through your profile. As always, Twitter is a social media platform & that means that you need to be sociable. Thank people for tweeting out or sharing your livestreams. Interact with them if they joined a seat in your Blab. Take the discussion on to Twitter to deepen your relationship with those who took the time to spend time with you in your livestream. You can read more about using Twitter conversations to help build relationships formed on live streaming, here. If you are looking for ways to easily interact with your Periscope followers, then can I suggest Fullscope.tv. It is an analytics tool that shows you the statistics around your scope & also allows you to tweet to them from within the tool. So, you can tweet to your top sharers, commenters, or the ones who left the most hearts. You can also respond to particular commenters regarding something they said on your scope. This is truly a tool worth investigating if you want to leverage the power of periscopes on Twitter. If you would like to see what I discussed on the Blab, or if you prefer to learn by listening, then watch the following video training on – Twitter Basics for Live Streaming. Blab is no longer available, thankfully most of my videos are and are available on Youtube.